» One price fits all? On 1st March 2011 the European Court of Justice ruled that gender may not be used in insurance pricing according to European law. 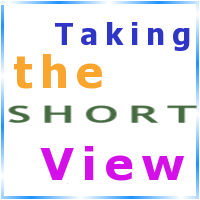 Insurers could continue to use gender in annuity pricing until 21st December 2012. After that date, unisex insurance pricing was in force. 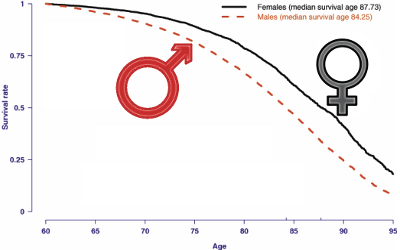 Gender is the second strongest risk factor for annuitant longevity after age. Losing such an important variable is obviously a serious challenge for pricing annuity business (although insurers will still be expected to use gender as a factor for reserving and risk management). If the second most important risk factor is being forbidden by law, it is natural to ask: what risk factors might take its place? In the case of individual annuities we have not only purchase price (or annuity level) and postcode, but also client-selected options such as escalation rate and the level of spouse's benefits. These latter two variables are examples of self-signalling as to an annuitant's longevity — only someone who expects to live a long time will be worried about preserving the long-term purchasing power of their annuity. Equally, married males tend to live longer than unmarried ones (marital status doesn't appear to affect female longevity as much). Interestingly, annuitants who pick escalating benefits are more likely to pick spouse's benefits as well, and both of these variables are strongly correlated with pension size and geodemographic group. It is at this point that a statistical model for annuitant mortality becomes an absolute business must. If you were to rely on a series of two-way comparisons, for example, you would risk double-counting some of the effects on longevity. A statistical model avoids this by simultaneously fitting all the desired risk factors and measuring the effect of each in the presence of the others. Where there are important interactions, such as with age, these can be included as well and formally tested. Conveniently, a set of risk factors can be fitted with and without gender present, thus giving you consistent models for both pricing and internal capital management. The Solvency II regime seems to ask that longevity models take a short-term view of a long-term problem. Can longevity risk fit into a one-year time horizon?